Darda: World's Fastest Motorized Cars. 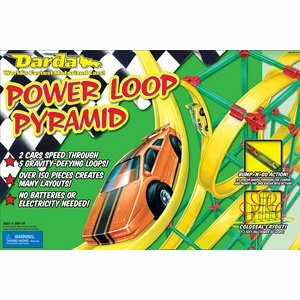 The Darda system incorporates construction, creativity, action and fun. Powered by the precision engineered Mega Motor, speeds of 500-600 scale mph can be achieved with just one small wind - no batteries, keys, ore electricity needed. 2 Ultra Speed Cars included. 150 pieces creates many layouts. Measures 2.5' tall. Ages 4 and up.